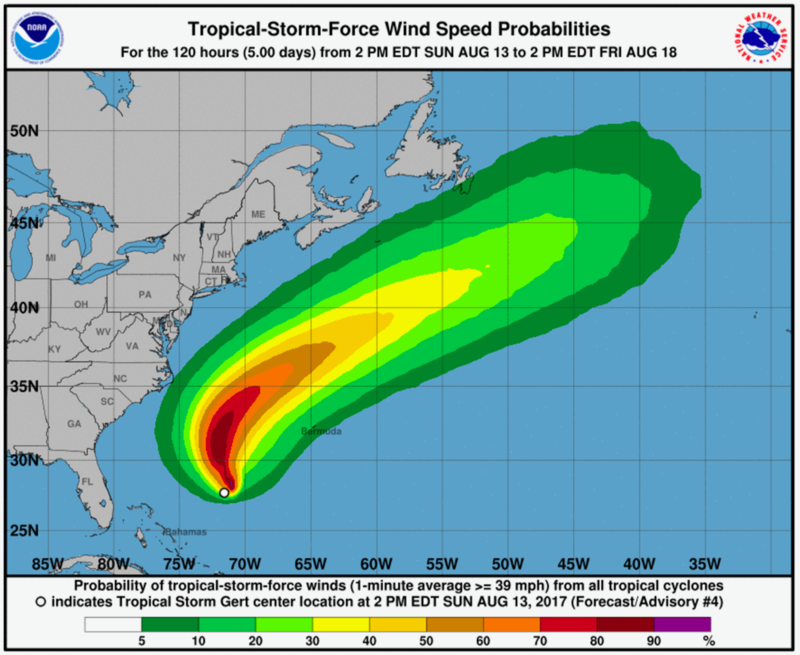 This morning we made the final decision to skip the offshore passage from Beaufort to the Chesapeake because the weather 'disturbance' we'd been monitoring in the Caribbean suddenly got a name: Tropical Storm Girt. While Girt isn't expected to hit the US, it is clearly going to stir things up out on the Atlantic in a few days. 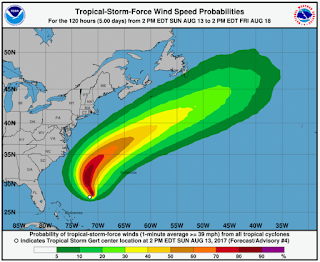 While we *might* be able to out run it up the coast, racing tropical storms isn't really our thing! So we are taking the inside route to Norfolk and the Chesapeake beyond. The ICW path will give us an extra buffer of land between us and whatever weather the storm brings with it. It will probably be a big non-event, but why take risks? We cruised up Adams Creek this morning and are anchored tonight right near the Neuse River. We won't be stopping at Oriental this time. Instead, we will push on up the ICW another 25 miles or so tomorrow. Hope to be in the Chesapeake this time next week.